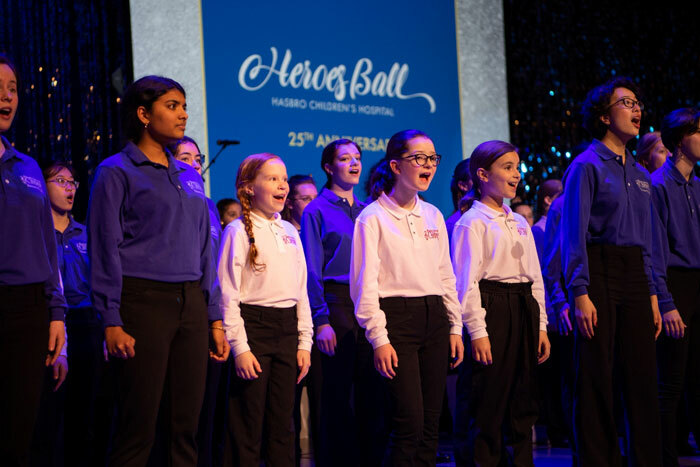 It’s been 25-years since Hasbro Children’s first opened its doors, and on Saturday, March 2, nearly 800 guests filled the Rhode Island Convention Center to celebrate the milestone during the hospital’s Heroes Ball, raising $1,140,334 to benefit its work. 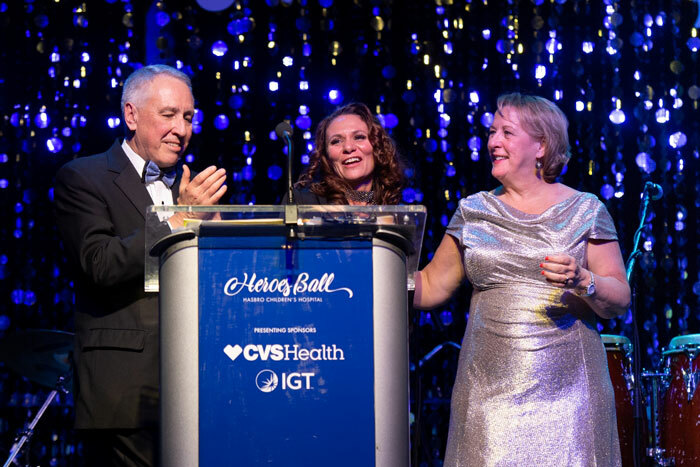 Event chairs Robert and Grace Vincent, at left, announce the grand total of more than $1.1 million raised for Hasbro Children’s at this year’s Heroes Ball with hospital president Margaret M. Van Bree, MHA, DrPH. 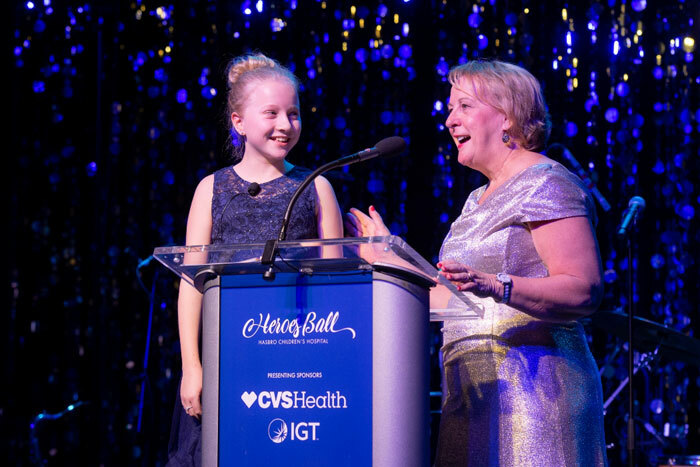 Juliet Provost, 11, joins Margaret M. Van Bree, MHA, DrPH, President of Rhode Island Hospital and Hasbro Children’s Hospital, on stage as guest emcee of this year’s Heroes Ball. The sixth grader was recently named the hospital’s 2019 Champion Child. 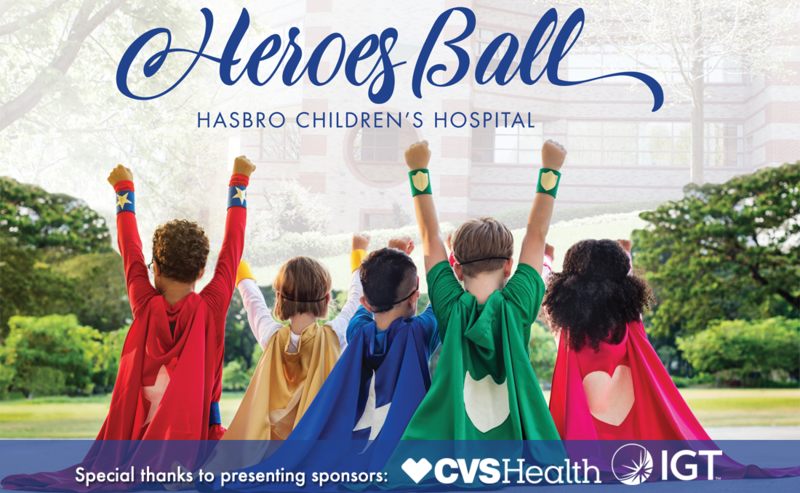 When Hasbro Children’s Hospital opened its doors in 1994, it became a beacon of hope and healing for families throughout Rhode Island and southern New England. It shines ever brightly today, inspiring pride in our community and confidence in the tens of thousands of families who depend on us for exceptional care each year. 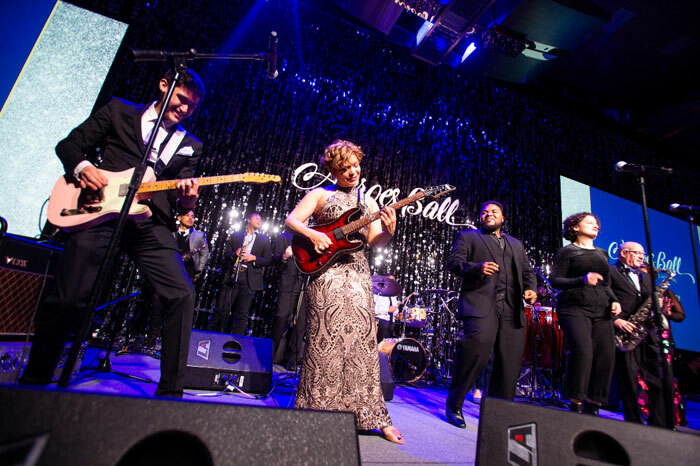 Pediatric medicine is constantly evolving. 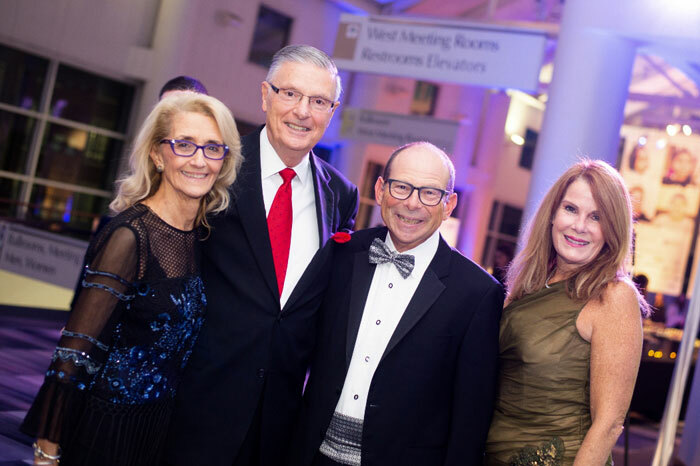 We see the lifesaving impact of modern medicine every day, made possible in large measure by the support of caring donors like you. 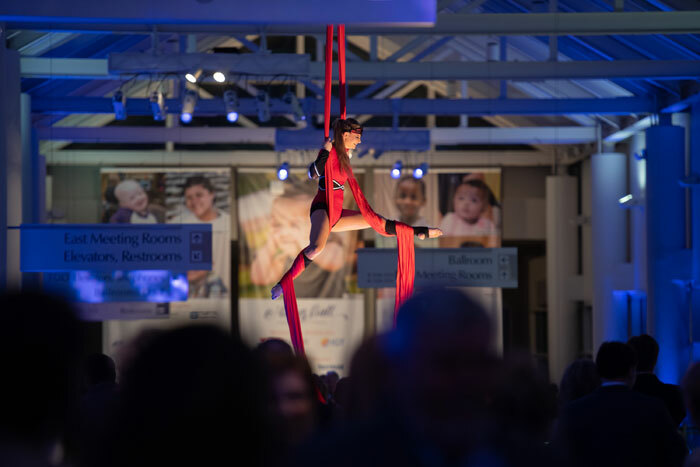 As our hospital celebrates its twenty-fifth anniversary, it does so with a renewed and intensified commitment to the physical, mental, and emotional health of our region’s children. Thank you for caring about Every Child, Every Day.